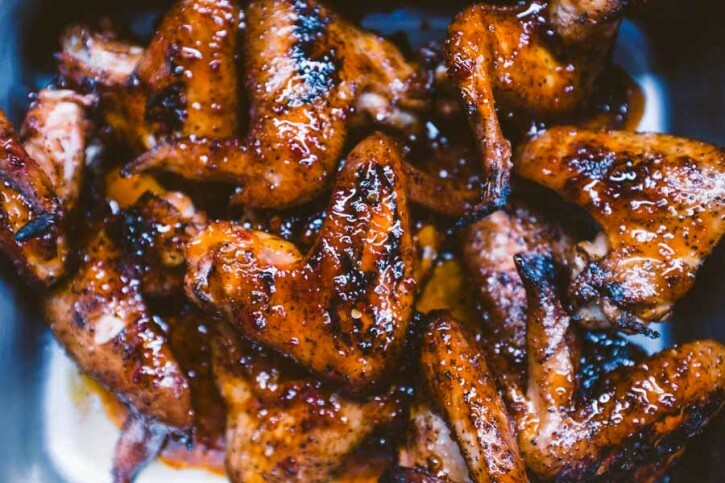 Put an Asian spin on your chicken wings with this made from scratch sweet & spicy wing sauce! 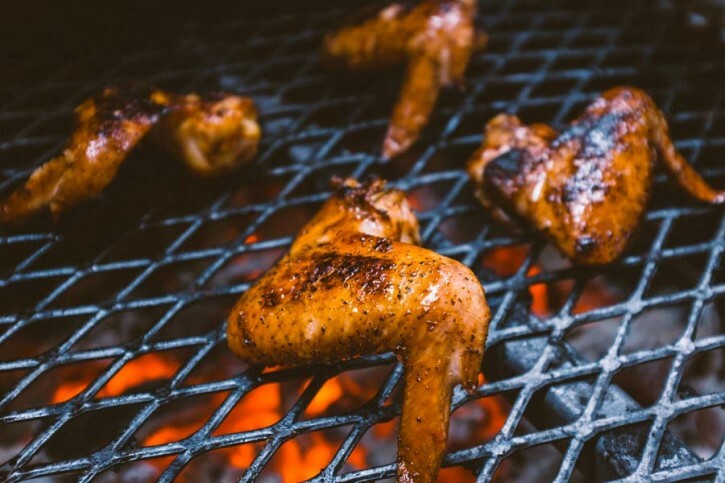 As much as we like some smoke on our chicken, we’ve grilled these wings over direct high heat charcoal, to get nice char and a crispy texture on the skin. 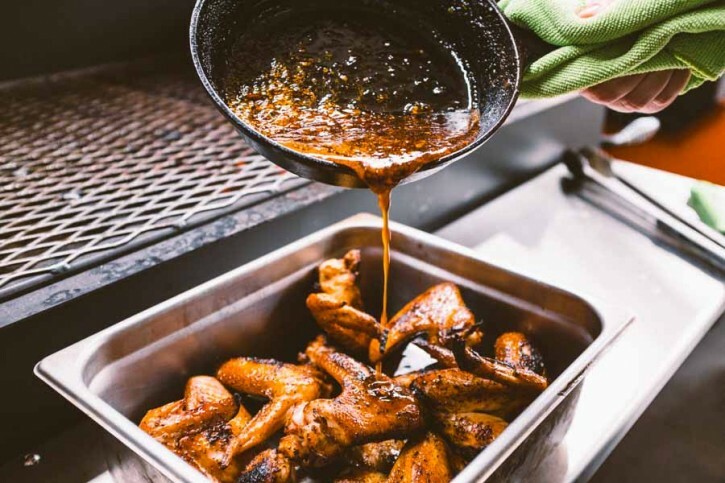 A made from scratch sauce is a great way to take your wings to the next level. This sauce combines some off the shelf ingredients with fresh aromatics for a unique, sweet and spicy result. Combine the honey, sugar, chile garlic sauce, soy sauce, lime juice, salt, ginger and garlic in a sauce pan. Bring to a simmer. Whisk together the cornstarch and rice wine vinegar in a small bowl. Pour the mixture into the simmering sauce, whisking constantly. Continue to simmer and whisk until the sauce thickens. Remove from the heat. Preheat your grill to medium high heat (400ºF+), set up for direct and indirect grilling. Season the wings with 3 Eyz BBQ rub. Grill over direct heat until slightly charred. Flip and repeat. If necessary, move to indirect and continue grilling until the internal temperature reaches 165ºF. 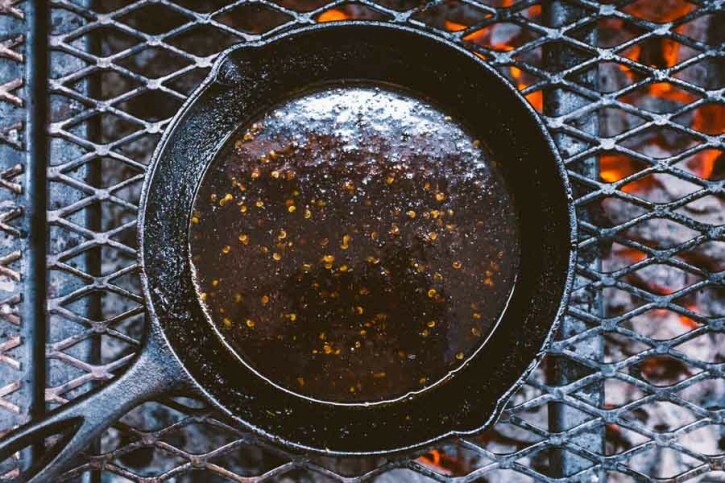 Remove from the grill and immediately toss in the sauce. Serve hot.